It used to take customers a lot of effort to shop around—they had to drive from store to store to compare prices and spend time looking up reviews in books, magazines, and websites. These days, the power has returned to the customers—they can comparison shop, find reviews, and even purchase a competitor’s product from their smart phone while still standing in your store. 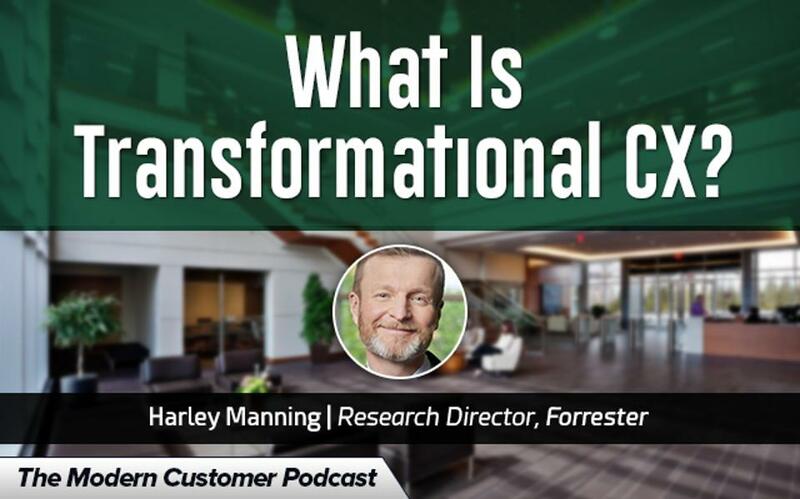 If your company is operating under the old assumptions that customers don’t have any power, you are set up to fail, according to Harley Manning, vice president and research director at Forrester. To be successful these days, companies must go through a CX transformation by stepping back and looking at how they operate and then finding ways to engage and empower customers. With CX transformation, companies shift their focus to looking outwards and make customers the center of their business. New technology and social networks provide more ways to create a personalized experience for customers. However, to really have customers at the center of your business, you need to know exactly what they want. Companies can no longer simply start a program or roll out robotic personalization in an attempt to appease customers. Instead of thinking of something to personalize because it will create a great experience, companies should focus on creating a great experience and using personalization as one way to reach that goal. Taking the time to truly understand the customer and to know exactly what they want can help align their needs with the goals of your company. A major factor in making the transformation successful is getting executives on board. To be effective, executives must be fully engaged and aware of what is happening in their organization. Harley tells the story of a CEO who went undercover to his various stores. At one location, he noticed lots of people were walking out of the store without buying anything and had to walk past an employee smoking outside as they left the store. That employee turned out to be the store manager, who was leaving a bad image in the customers’ minds. By being present and aware, the CEO was able to take ownership of the situation and address the issue from the root cause by improving the hiring and training processes. However, many executives tend to dismiss customer experience thinking that it doesn’t directly affect their bottom line. In order to get on board with CX transformation and improving customer experience, executives need to see the direct relationship between increased customer experience and a customer’s likelihood to stay with the company, purchase more products, and recommend it to a friend. By putting money and statistics behind customer experience, executives are more likely to see how creating a strong customer experience can have a monetary reward for a company. Customer experience really comes down to putting the customer first and making their needs the center of the company. By getting everyone on board and staying aware of what is happening both inside and outside the company, you can start to enjoy the fruits of CX transformation and a strong customer experience.